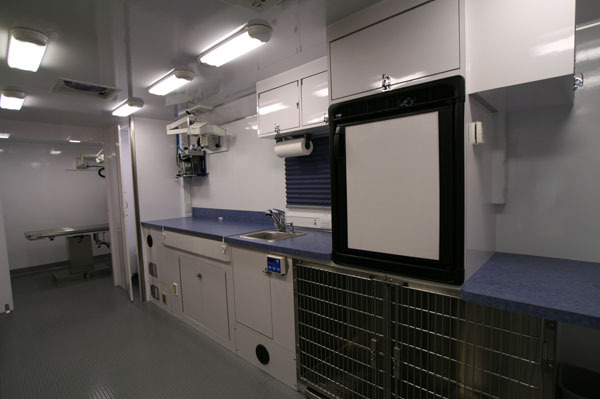 We recently completed a mobile veterinary trailer for a client in Indiana. We’ll be spotlighting that client in another blog. For now, we’d like to focus specifically on the trailer itself. 2017 was La Boit’s 35th year in business, and let me tell ya, it was a great one! We continued to deliver what some of our customers have affectionately referred to as the “Cadillacs of Specialty Vehicles.” And of course, we did it with the best customer service in the business. La Boit Specialty Vehicles’ client LifeShare Blood Centers was recently honored for the design work on their new 2016 La Boit-built bloodmobile. The 42ft Freightliner is the sixth La boit vehicle in their fleet. It includes four donor beds and all the equipment necessary to see dozens of donors per day. 34 years young… That’s how many years La Boit Specialty Vehicles has been in business, since owner and founder Gil Blais started working out of his garage building custom vet boxes for mobile veterinarians. For the past five decades, the New York Blood Center (NYBC) has provided lifesaving blood products and services to nearly 200 hospitals in New York, New Jersey, Long Island, the Hudson Valley, and parts of Connecticut and Pennsylvania. Operating under a four-part mission, NYBC provides high quality blood and stem cell products and related medical and consultative services to hospitals and patients. They conduct innovative research, develop products, technology and services with the potential to have a worldwide humanitarian impact. NYBC stands out as a multifaceted, patient-focused healthcare resource and a global change agent. Their goals are to improve public health, empower the communities they provide for as a resource and to maximize those resources through collaboration and partnership. Should You Upgrade Your Specialty Vehicle with a Winter Package? We often get the question from our clients if they should upgrade their specialty vehicle with the “Winter Package” option. Before a vehicle can be finished, clients need to select the colors they want for certain interior and exterior elements of their vehicles. Along with designing the exterior graphics, picking colors for their vehicle is one of most fun parts of the process for La Boit clients, as they begin to visualize the final product and anticipate its completion.